This week’s special guest is someone who is living the dream of many punters. 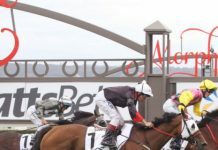 Andrew Hannan is a successful full-time punter and our Betting 360 podcast chat focuses on how at a relatively young age he has been able to develop a ratings model for Melbourne racing that has a clear edge on the market. Why he enjoys the challenge of betting as a full-time career. The importance of speed maps, videos, trials, trainers and jockeys. Why some form factors lose their profitable edge. How all of that comes together in assessed prices. David Duffield: I wanted to talk to you about your background and also some Melbourne Metro ratings. Where did your interest in racing come from, just as a kid? Andrew Hannan: Well it was interesting, cause I came from probably a different perspective to everyone else, as I didn’t really have that deep knowledge or passion for racing as a kid. I mainly was one of those normal bandwagon guys who would jump on at the spring carnival and go to the races at Flemington here and there. I personally got interested in form analysis, instead of the actually the races themselves first. It was only until really, simply horses like Black Caviar came along that I actually fell in love with the horse. It was actually form analysis that I fell in love with first, the puzzles and the interesting theories that people had about it. I got into that when I was 17 and started doing my own markets and analysis at that age. I had some fantastic mentors like Deane Lester, who really helped me at the start, to gain a very basic understanding at first and then getting to the more complex things. Just really have learned a lot in a very short period of time. Still loving it just as much as I was back when I was a kid. David Duffield: Sounds like you kind of skipped a few years, in a way, ou said that you’re into the form analysis right from the start. Where do you start, at that time, when you don’t have, say a decade in racing or a father to drag you along every Saturday. How did you go about learning the process of form analysis? Andrew Hannan: It was basically just emailing people that I thought could help me. As I said, Dean Lester was one of those, I probably cluttered his inbox a bit too much to annoy him at the start. They were really gracious with their time and helping me sometimes ask, probably stupid questions to them, but I really was just quite ignorant at the start. They really helped me grow pretty quickly in doing probabilities for horse races. 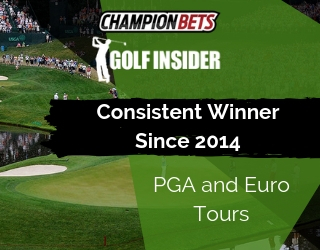 Obviously I’ve gotten a lot better at as time has gone on and gotten to a point now where I’m really satisfied with the systems that we’ve implemented and hopefully can use those to find a few winners for the Champion Picks clients. David Duffield: We had Nathan Snow on the podcast a couple of weeks ago and he mentioned that he really enjoys the mental challenge of it all, and there’s eight puzzles to solve every afternoon. Do you have a similar approach? Andrew Hannan: Yeah, absolutely. Although it’s mainly the computer which is actually doing the probabilities, we still like to have a look at it ourselves and particularly the top races. I guess every analyst gets excited when the good horses and the spring comes around. The winters can be quite long for some of the analysts out there, but it’s certainly something that we do really enjoy. I guess the perfect example of that was just last week with Lankan Rupee versus Deep Field, it was a bit of a battle royale going on about who was selecting who. People were all putting their points forward- which were all very valid and obviously Lankan Rupee came over the top. We certainly- just like Nathan said – we certainly do enjoy the puzzles that we have to solve every weekend. 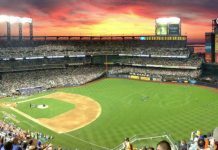 David Duffield: It’s the, I suppose the positive advantage or expected value, whatever you want to call it, that appeals to you. I know you’re not the type that wants to sit at a pokies and just bet. It’s the mental challenge, but also the edge that you can get that really does appeal? Andrew Hannan: Yeah, absolutely. I guess, advantage gambling in general, is a fascination of mine even though I basically just stick to wagering and horse racing wagering in particular. It is certainly a fascination of mine and I like to read a lot on it and read academic papers and so forth. It certainly is a very big passion of mine. David Duffield: You talked about trusting what the model has generated, but to get to that further stage you need to have the earlier stage, which is trying to work out what are the most important form variables or inputs and ratings and things like that. I know you won’t want to go into specifics, but just in general terms, what is included in that analysis process? Andrew Hannan: Well, yeah, there are dozens, and dozens, and dozens of variables in a horse race and we like to input as many as we can, it’s just about prioritising them really. There’s no real secret to what the major ones are. I think all people who do the form whether it’s on a big computer system or a newspaper would have the same major ones. It didn’t take too much time to realise the important ones, because they’re naturally the first ones you think of, but it’s how to input some more little ones and how to fit them into your probabilities which I find interesting at the moment. There’s always new ones popping up and there’s ones which become popular with the media and the general public just like speed maps probably are now. 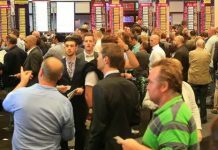 Once you’ve seen them in a newspaper which we’ve certainly been seeing as of late, you know that the more modern and general punter is understanding of them. The edge with those variables does become decreased, so you obviously got to find the other variables which haven’t really picked up on yet and hope that the value is still there with them. David Duffield: It’s almost like staying two or three years ahead of the mainstream? Andrew Hannan: Yeah, that’s right. Even back in 2010, 2011 when I was doing speed maps, when I started doing probabilities I started doing speed maps, that was told to me that it was much required, that was still an edge back then. Even though most of the jockeys are having them and the trainers, it seemed the general public didn’t use them. Or the professionals did but the general public didn’t really have a major understanding of them. That’s changed significantly and everyone has a good understanding of them now. Everyone has very similar speed maps anyway, so that edge is certainly gone. It’s just about trying to find the next one. David Duffield: The speed maps are a key part in what you do in terms of the likelihood of a certain horse winning a race, but you’re saying in terms of the value that they can bring now, compared to a few years ago, that value has almost disappeared? Andrew Hannan: Yes, I do think so. It’s not only because the public has picked up on it, for example if Horse A is the only one on your grid in the on pace position and on paper it looks like it’s going get in late. It’s not necessarily because the punters are going to pick up on that and back it, it’s also because the jockeys are seeing it and the trainers are seeing it. They try and do something about it, naturally. 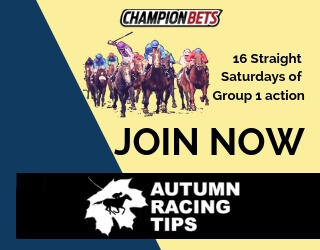 At Champion Picks we’re working specifically on Melbourne races, they are very smart jockeys and they’ll pick up on it. Sometimes what can look a positive on paper could turn out to be a negative, that’s where you’ve got to be very careful and not necessarily just back a horse because it has a good map. Generally speaking we don’t like to back a horse just because it has one good variable, particularly if the horse just has a good speed map and that’s why you back it, I think that could be pretty dangerous. David Duffield: What about something a little more subjective such as luck in running or video comments? How do you factor those in? Andrew Hannan: We certainly do factor them in. We obviously have the video comments and we read them and if we have any issues with them we certainly look over the tape and try and quantify what we are seeing through the video. Whether it’s a horse being caught wide or it’s laying in or laying out sharply. Check all those sorts of things. In our systems we are able to subjectively quantify and input it into the ratings and that’s what we try and do, as best as we can. David Duffield: Again, something that can be quite subjective, what about trials and jump outs? Andrew Hannan: We certainly do watch them. As I said, we don’t back a horse or lay a horse because of a jump out or trial. We don’t like to, as I said before we don’t like to do that, just the one variable. We certainly do look at them and there are more expert eyes than us on them, just like Dean the Trial Spy with Champion Picks. Generally speaking, good horses will trial well, nine out of ten good horses will trial well. Is it really worth giving nine or ten horses in a field, in a Group 1 a positive factor because they all tried well? There are arguments for it and against it. We certainly input it, but it’s not a major one. 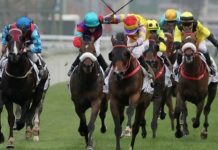 David Duffield: What about trainers and jockeys, how much of a part do they play in the overall analysis and then the probabilities that the model produces? Andrew Hannan: We certainly do factor them in, David. Jockeys more than trainers. Jockeys, I still think, are underrated by the market, particularly in metropolitan races. It’s funny when you see some apprentices when they get found in a sticky situation and the plan that they decide to do can be a lot different to what a senior jockey does. What I mean by that is senior jockeys seem to have more than a Plan A and a Plan B, and their reaction seems to be half a second quicker than everyone else. I think a good example of that was if you watched when the Hong Kong guys came down for the autumn and spring last year, in particular Zac Purton’s ride in the Doncaster on Scared Falls. You can just see once a gap opens they just do not think twice, they just take it. I guess that’s part of the Hong Kong racing where they’re all jockeys and the snap decisions that they make are so much quicker than they seem to look on races in Australia. I certainly do think that jockeys are still underestimated by the market, for sure. David Duffield: So all of that goes into the mix and then the prices, well the probabilities which are then turned into prices are produced. Why have you chosen 92% as the best percentage to frame your market to? Andrew Hannan: It’s obviously done with a bit of research. When I originally started I started with 90 percent. Obviously, since then the market has got a lot more smarter. The efficiency of the market is very good, so I moved it up closest to a hundred percent-to 92 percent. David Duffield: Then you’ve identified the overlay, the staking we’ll discuss in more depth at another time but it’s to the effect of the greater the value the more you want to outlay on that horse? Andrew Hannan: Yeah, that’s right. That’s Kelly’s criterion and we obviously have a certain interpretation of that and that’s what we like to use. David Duffield: Okay, but there are certain races where you don’t want to get involved as well? Andrew Hannan: Yeah absolutely. I’m not an advocate of betting on every race or every race that we do probabilities on, I’m more than willing to state for the clients that we just want to leave this race alone. The main reason for that is if our market is very similar to the public, so we’re just very quick to move on to the next race. There’ll certainly be plenty of races where we’ll do that. So it’s not necessarily a negative, it just means instead of just blatantly putting bets on for the sake of it, we’re happy to move on. 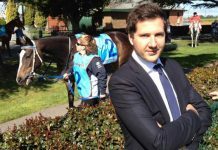 David Duffield: But you’ve found the Melbourne Metro Racing suits your style in the analysis that you do, and the ratings that are produced. Then obviously there’s a reasonable amount of liquidity in the market, you probably hoped there’d be more if a few of the corporates would take a bet. It’s a good mix? Andrew Hannan: Yeah. The Melbourne stuff is going very well. We find our system seems to analyse the top grade runners the best, in particular all the stakes racing. That’s mainly because their patterns are very predictable and you can get a much better understanding on what a trainer is trying to do with this runner because you usually know where their target is and their fitness and what not. Yeah, our systems do very well on the higher class racing and yes, Metropolitan Saturday’s in Melbourne comes out of that category, yeah we really enjoy wagering on those. David Duffield: I don’t think I mentioned your betting and business partners name before, Jim and you work in tandem, you’ve got an office and a pretty good set up there. But is it a bit different than where you thought you’d be going through school and then university and the like? Did you ever think you’d be a full time punter? Andrew Hannan: I didn’t, certainly not. I guess I just caught the bug and just loved it. I’m really enjoying it and making a good living out of it, so Jim and I enjoy each others company, even though we see each other a lot of the time. Still great mates and we really enjoy what we’re doing. So hopefully we can bring that along to the Champion Picks clients and hopefully they can enjoy the ride as well. David Duffield: Yeah, that’s definitely our plan. On another audio we’ll go into a bit more detail on how a ratings member can use the information you’ve produced. Just wanted to give people a bit of insight into your background and also there aren’t enough guys who are young and keen and have been bitten by the racing bug, so it’s just great to meet a couple that have been. Andrew Hannan: Yeah, absolutely. I certainly give plenty of time to young people who have questions and I’ve certainly got mates that are very interested in it and some just don’t really understand it. Anyone who’s got any questions, I’m more than happy to answer it for them. The better people can get an understanding of this caper the more enjoyable they’ll find it. Yeah, let’s hope the joint venture can go well. David Duffield: Absolutely. All right. Appreciate your time today, Andrew. We’re really excited to have yourself and Jim on board and look forward to a whole bunch of winners. Andrew Hannan: Beautiful. Thanks, David.